Whether there is a need for planned or urgent duct replacement, count on us to do the job effectively and quickly. 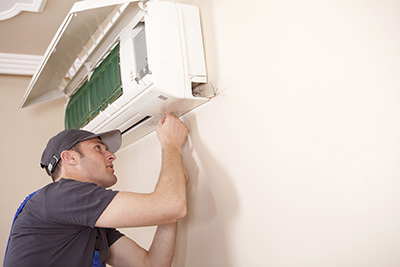 Our company offers an array of services designed for the ductwork of HVAC systems and dryers. We are experienced specialists not only in air duct cleaning, but in repair and replacement as well. Our professional solutions are designed for all types of ducts with no exception. It does not matter how complex or specific the designed network may be, you can expect nothing less than perfect results. Since HVAC air ducts are extremely difficult to be inspected fully by non-professionals, our customers typically hire us when they notice the obvious signs of problems with these components. The list includes dusty surfaces despite their frequent cleaning, bad smell coming from the ducts and suspiciously high energy bills. When you reach us, at "Air Duct Cleaning Vallejo", you will receive full services in the shortest possible time. As experienced HVAC air duct cleaners, we always begin our work with thorough inspection of the ductwork. Our technician will watch out not only for dirt, mold and mildew, but for damage as well. In some cases air duct repair can resolve the problem completely. Rely on us to do the work professionally and to deliver the perfect result quickly. However, when the damage is too extensive, the ducts will be replaced. Once you give us the go-ahead, the project will be started immediately. Procrastination is certainly not a good idea as even the smallest cracks result in higher contamination and energy loss. The first stage of the replacement projects involves taking measurements so that ducts of the right width and length are selected. Since there are different products available, our company will provide specialist advice to help you select the best new components. Count on us to point out the ones with the highest resistance to damage, the longest useful life and the best energy efficiency. In order to achieve the best result, we will also replace air duct filters, if required. The replacement work will be well organized. All new components will be fitted with maximum precision for ensuring that their properties will be used fully. Once the job is done, the system will be tested to confirm that it works as it should. Our service range includes dryer vent replacement as well as cleaning. If the duct is damaged beyond repair or there are clear signs of wearing such as brittleness, a new one will be installed. The job will be completed with precision in very little time to make the exhaust system as effective as before. Give us a call now for getting a detailed estimate.